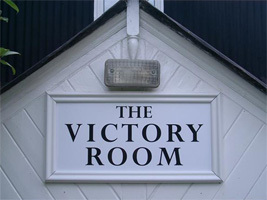 Planning permission was granted in June 2016 for a new Victory Room with all its improvements. The current building is now a century old and, like many antiques, is sadly showing its age. We want a hall fit for the next 100 years which can continue to serve the multigenerational needs of the parish, from children's parties, scouts, cubs, guides and junior football to art classes, adult parties, church and community events, and as the local polling station. The Trustee board want the facility to remain very much a parish one and have a strict lettings policy which will prevent its' overuse and becoming a nuisance to local residents. At the same time, we want it to be a more attractive venue for playing sport as it is adjacent to the only useable playing field. Investment is needed now to secure the long-term future of the Victory Room and keep a pipeline of sporting cultural and social activity alive in the community - all withing the confines if a building that is energy-efficient and future-proofed. Our fundraising is now starting in earnest. The trustee board has developed a marketing package to present to possible funders, and has also been successful in registering with the Good Exchange, which is run by the Greenham Common Trust. If you would like to contribute, please either send a cheque ( payable to "The New Victory Room" ) to me. In order for us to claim Gift Aid please supply your name and address if you are a UK taxpayer. You can also donate through the Good Exchange website - you can access it as The Victory Room or on number 11581. If you donate this way, your contribution may be matched by other funders.